For this week’s writing prompt I chose the 5 Most Mysterious Sounds Ever Recorded for inspiration. Take one of the mysterious sounds from the video (I’m really fascinated by the very first one) and write a story that explains the sound’s origin or show us some people interacting with the sound in some way that still leaves the mystery intact. You could also explore the idea of another kind of mysterious sound unrelated to any of these. Thank you to everyone who’s submitted a story so far. I’d like to get a few more submissions before I make my decision about the story to be read on the next episode. If you haven’t heard from me yet, you will soon. I found this gorgeous photo on Twitter in the feed of @ClassicPixs. It’s a 1958 photo by Gordon Parks. 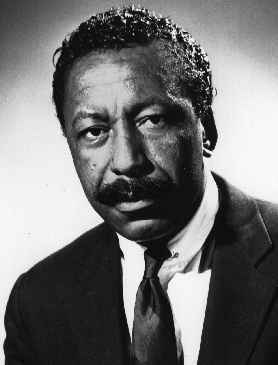 Parks was a photographer, musician, writer and film director. 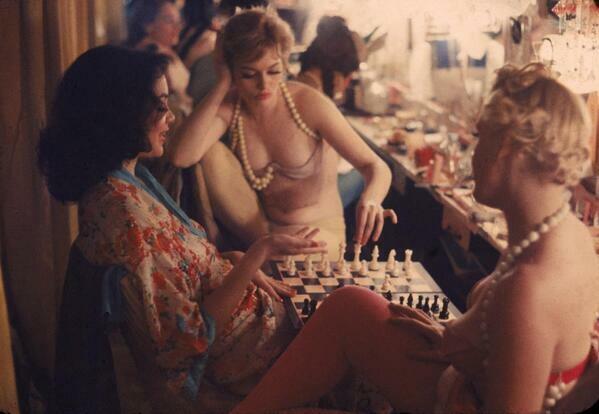 I want to read a story based on this photo of showgirls backstage playing chess. What is the brunette relating to the blonde and the redhead? Why do they play chess every night (or was this a special occasion)? What story does Gordon Parks have to tell? Post a link to a story inspired by this prompt in the comments section. I might have to tackle this one myself. Take a look at these sprawling mansions by clicking on this link to HowStuffWorks.com. What motivates someone to build and live in these mega-homes? What happens if you lose your money and have to move into a “regular” home or no home at all? What if you are an impostor living as a guest in one of these homes? What happens when you are found out? Write a story exploring one of these ideas and post the link here. Have an amazing writing day! Stories are the Wildest Things. Conflicts are raging in the world as I write this post. What small thing can we do to bring peace to those who hate and rage? How can we comfort those who are facing horrors as an everyday fact of life? Is it possible to make a difference with just one small voice? Stories are the Wildest Things because they can change the world. Sometimes stories can make change that lasts for generations and sometimes our stories are here for the briefest of moments and then gone. But even if it’s just for a few moments of solace in the midst of chaos, stories can help us see the world from a different point of view. Can we tell powerful enough stories to stop the escalating chaos in the world? I don’t know if that is possible, but I do know that as we write and share our writing with the world, those who read our stories are opened up to new possibilities, new ways of thinking, new ideas about how the world works and what our place is in this world. I challenge you today to write a story for peace. It doesn’t have to be about how to achieve peace or about peace and what it means. It doesn’t even have to be a peaceful story. Create something beautiful out of this chaos. Write a story that will live on as a reminder to those who come after us that hate and rage does not have to define us. Be creative. Move us. Make us feel something. Do it in 1500 words or less. Then share it with others. Invite others to take part. Starting a dialogue through story can be a powerful thing. Let’s change the world by writing stories for peace. Yesterday was the 100th anniversary of the outbreak of World War I. How many anniversaries like this will we have on our calendars by the time my four-year-old grows up? Will he grow up and know a time when we have not been at war? For this prompt choose one of the 10 photographs from this fascinating video by Hybrid Librarian and write a story that relates to the actual photograph or the circumstances surrounding or suggested by the photograph. I’m particularly drawn to the photograph of STS088-724-66, the Black Knight satellite. An alternative would be to write a story about an album of mysterious photographs that someone finds or is given. Why are the photographs in the album? What does the protagonist need to do to solve the mystery of the photographs? When you write a story using this prompt, please send me a link. If you have any other ideas based on this prompt, leave a comment. Thanks for sharing! Stories are the Wildest Things. What is the opposite of “you”? When you think about who “you” are, what are the list of qualities you identify with yourself? Are you loving, honest and polite? Are you helpful and always there for your friends? Make a list of qualities that you identify with and then make a list of everything that is the opposite. Instead of loving, honest and polite, make the character hateful, lying and rude. Helpful and always there becomes spiteful and withdrawn. Write a story whose protagonist is the opposite of you. Try to avoid clichés and really show us how this person functions in the world. Let us see what they want and why they want it. Then throw in some obstacles that get in their way. Post a link to the story in the comments section. I love old photos of what people thought the future would be like. You could use this photo to write a story about the characters as they are: a mom and child who live in the fifties but have a “futuristic” lifestyle, or you could write about a future where everything is very retro. Please share a link to your story in the comments and follow Stories are the Wildest Things for more great writing prompts, tips and techniques to inspire your writing. A retro illustration of people flying with jet packs. Who are they (do they work for the good guys or the bad guys)? Why are they flying around like that? Send me a link to your stories. I’d love to read them! Life, in all its disarray and confusion, can be beautiful. Write about something chaotic that also has a kind of beauty. 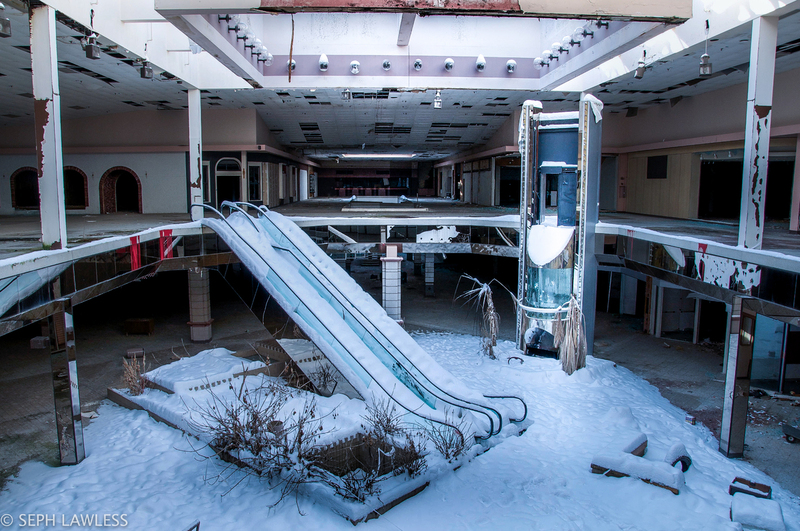 Please share a link to your story inspired by this photo below.